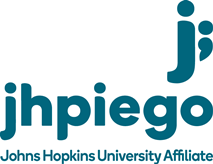 Jhpiego is an international, non-profit health organization affiliated with The Johns Hopkins University. For 40 years and in over 155 countries, Jhpiego has worked to prevent the needless deaths of women and their families. Jhpiego works with health experts, governments and community leaders to provide high-quality health care for their people. Jhpiego develops strategies to help countries care for themselves by training competent health care workers, strengthening health systems and improving delivery of care. Jhpiego designs innovative, effective and low-cost health care solutions to ensure a level of care for women and their families. These practical, evidence-based interventions are breaking down barriers to high-quality health care for the world’s most vulnerable populations.